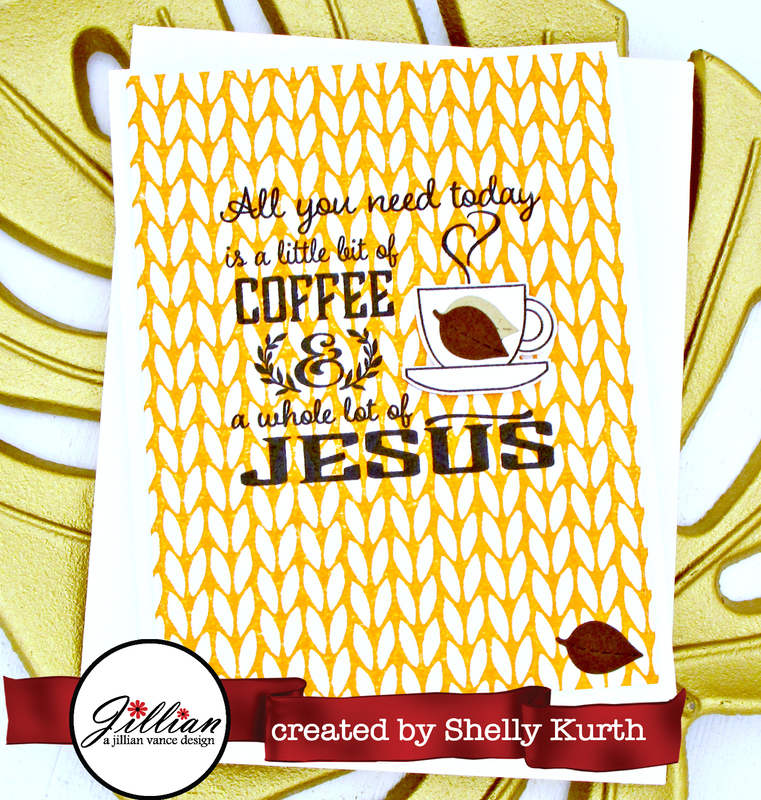 A Jillian Vance Design: Hop Along on the Coffee Lovers Blog Hop! Hop Along on the Coffee Lovers Blog Hop! Hello! Jillian Vance here for the National Coffee Day Blog Hop. A few of our designers are taking part as well as a ton of our card making friends and fellow companies! I'm so excited to be a part of this hop! Thank you so much for joining us today. We are proud to be a Super Sponsor! Check out the A Jillian Vance Design Team creations HERE on the AJVD Blog! TO ENTER to win the Prize Package go to the AJVD Blog! I am giving away a $100 value Prize Pack from the A Jillian Vance Design online store! I am also offering for the hop only, Sept 29th and 30th our Coffee Collection will be 25% off! NO CODE NEEDED!!! Sale Price shown in cart! 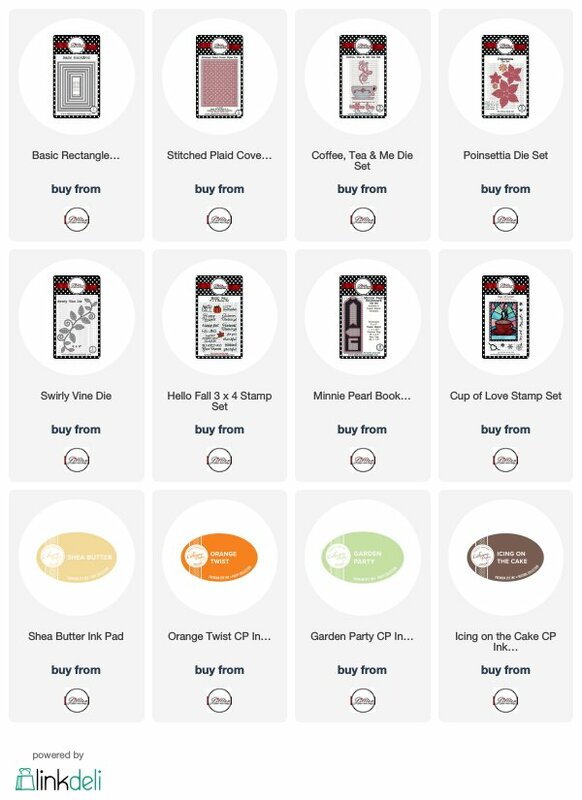 So if you had been wanting some of our coffee goodies, now is the TIME!!! 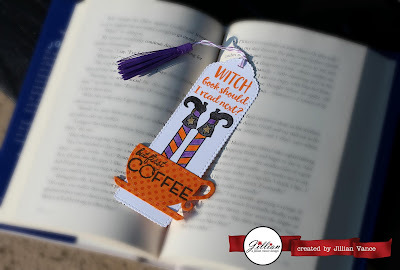 So how fun is this Witch Bookmark? I'm absolutely obsessed with reading, and a cute bookmark is always a plus, right? And since we're heading into Halloween season, there's nothing more perfect than a witch bookmark! Started with Neenah Solar White card stock and stamped my sentiment from Witch Book? Stamp Set in Orange Twist Catherine Pooler Ink. Using CP Ink in Midnight, I stamped the witch legs from the same stamp set. I colored them with Tombow Recycled Colored Pencils available in my online store! Love the Gold Metallic Stars on her boots! 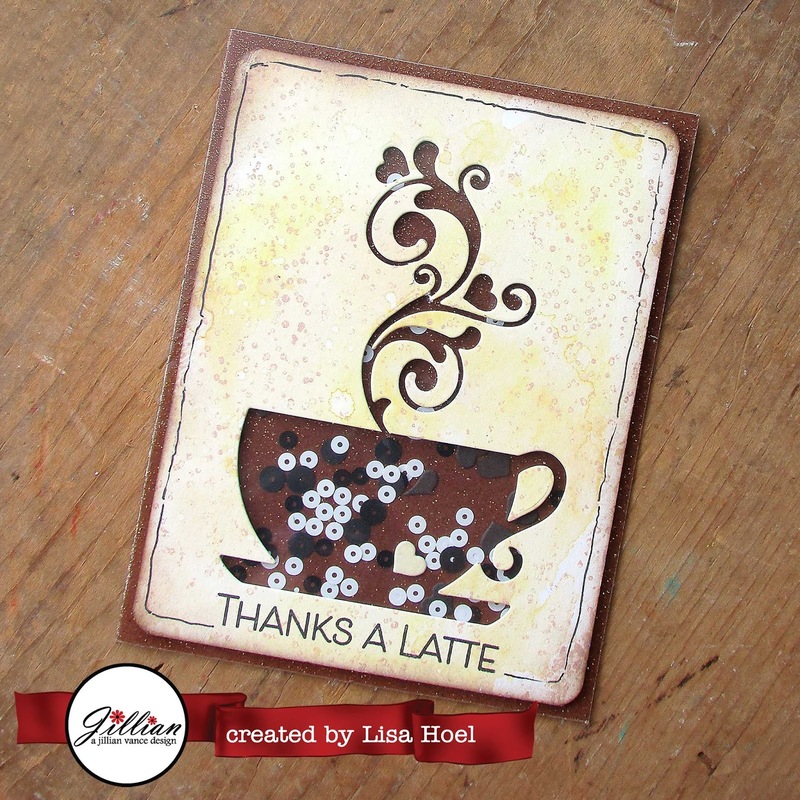 Stamped using Orange Twist and my Dainty Dots Background Builder stamp to create a pattern on the cup from my Coffee, Tea and Me die set. Stamped the sentiment from the But First Coffee Stamp set in Midnight and I did add a second cup to the back side for stability when in use. That purple Stitched 3D Tassel is perfect to mark your spot! Hello, Lisa Hoel here with a card for the hop too! I used the Coffee, Tea & Me Die Set to make a shaker card filled with hearts and sequins. Hello, Bunny here and welcome to the Coffee Lovers Blog Hop today! Lots of great sponsors, creations and prizes! I am still obsessed with the Stitched Plaid Cover Plate!!! 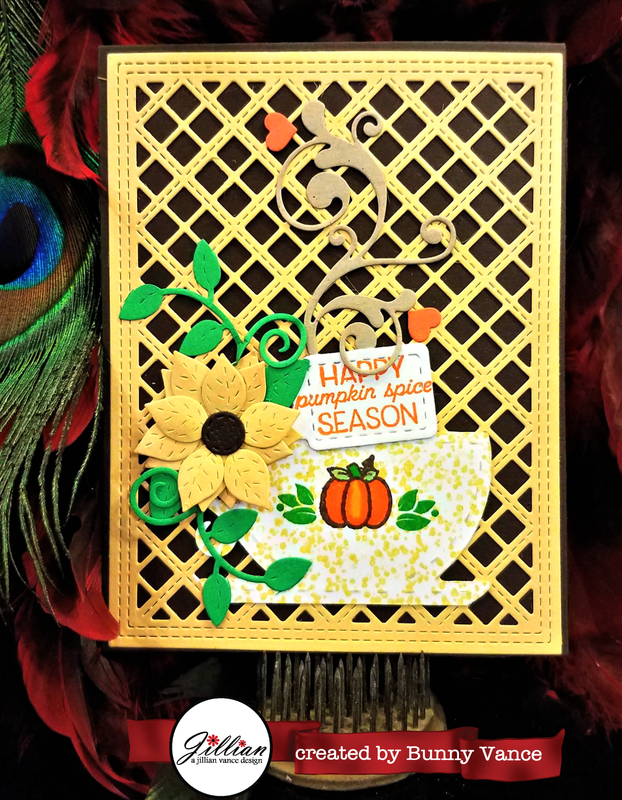 It turns adds an elegant touch to any card, and can be whimsical as well! Very versatile staple for your crafty stash! Added the AJVD Coffee, Tea and Me Die set which is a darling cup with beautiful swirly steam! I stamped the Cup with Scattered Snow Background Stamp in Catherine Pooler Shea Butter Ink, and the pumpkin in Icing on the Cake, colored using Orange Twist and a water brush! Stamped the leaves in Garden Party Catherine Pooler Ink, they are from Cup of Love Stamp Set. I added the AJVD Poinsettia Die Set which doubles as a sunflower, the every popular Swirly Vine Die wraps around that cup handle for a fall look!! 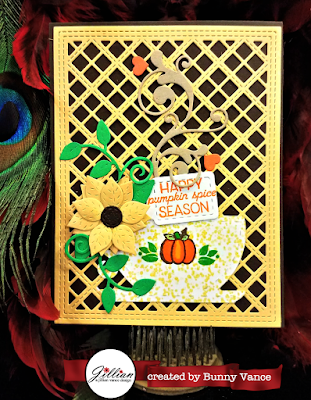 The cute little tag is from the AJVD Minnie Pearl Bookmark Die Set and is stamped with a sentiment from Hello Fall Stamp Set in Orange Twist Catherine Pooler Ink. Thanks for hopping today! Enjoy the Fall season...my favorite time of the year! 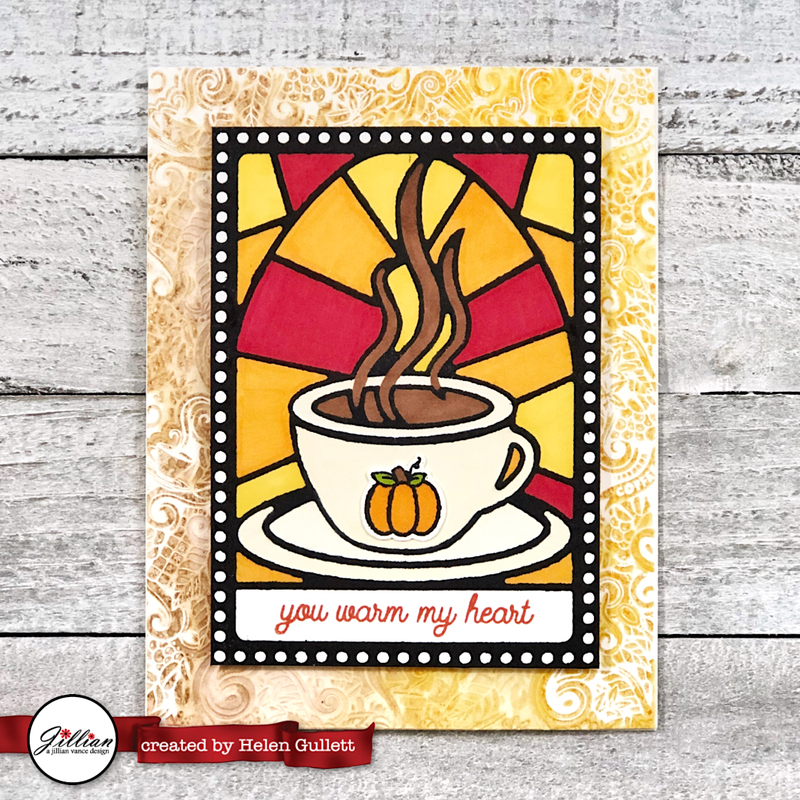 It's Helen...and here's my card for this blog hop that I created using Cup of Love Stamp Set, Perk Up Stamp Set, Hello Fall Stamp Set, Coffee Collage INKboss Plate, Midnight CP Ink Pad, and Tutti Frutti CP Ink Pad. Hi everyone! 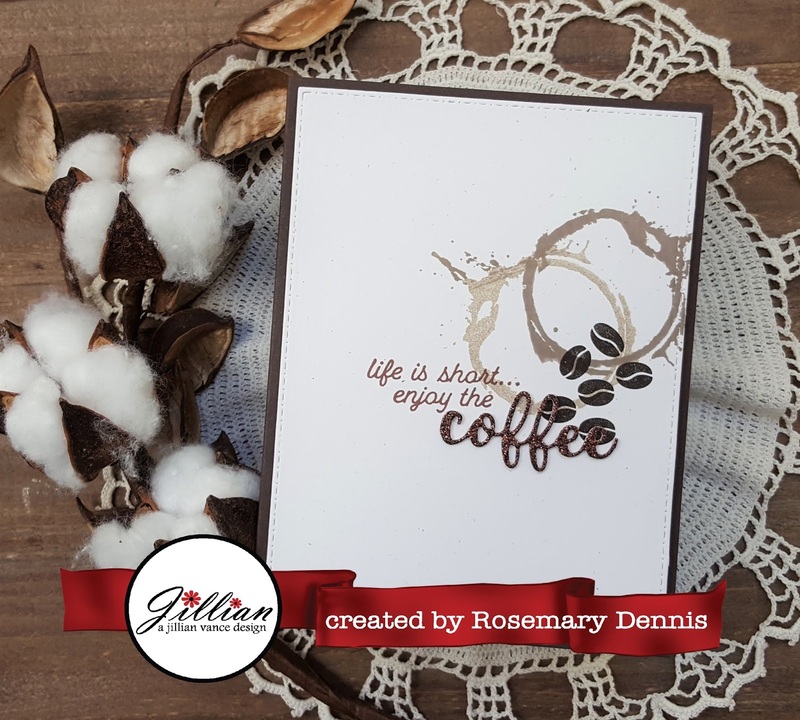 Rosemary here with a clean and simple card for the Coffee Lover's blog hop. 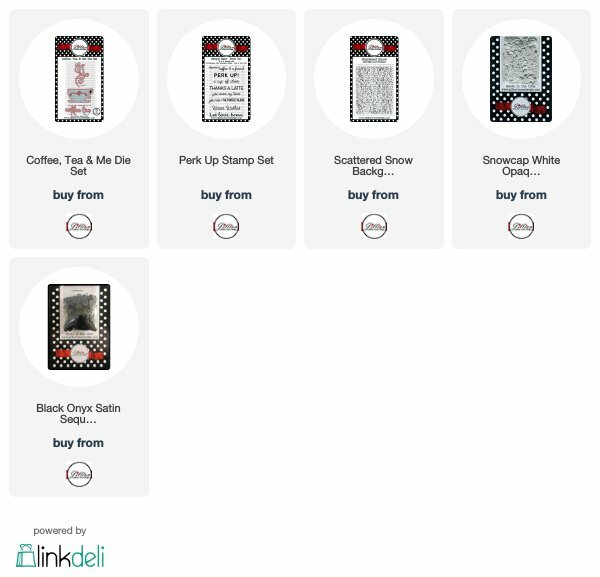 I used the Brew-tiful and But First Coffee stamp sets. Hi everyone it's Tracey here with my card for the National Coffee Day Blog Hop! 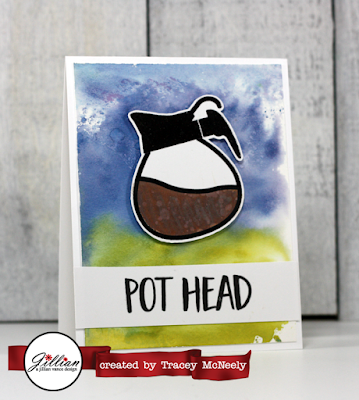 I used the super fun Simply Said: Pot Head 3x4 " stamp set! Embossed in black and coloured with Walnut Stain Distress Oxide ink. 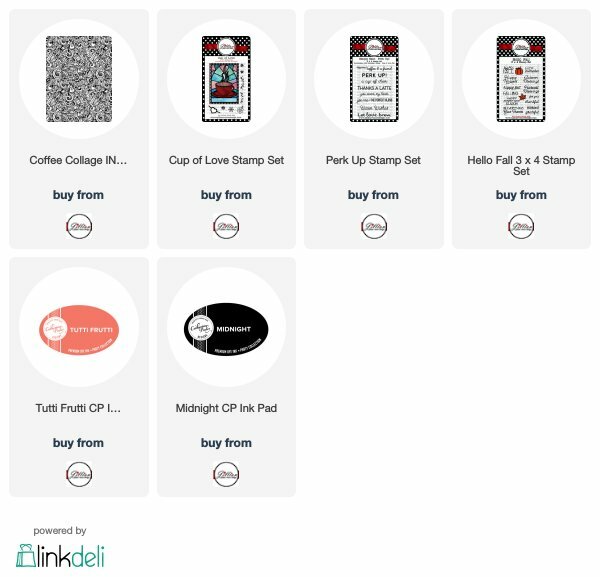 a Rafflecopter giveaway Enjoy the HOP!!! See LINKS below! 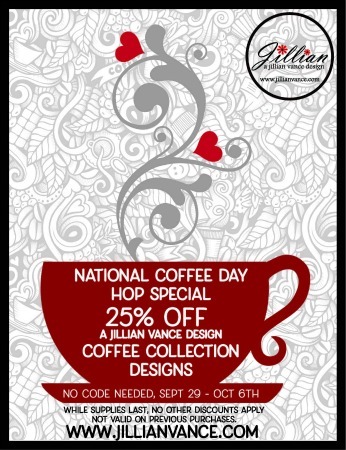 AND don't forget for the hop only, Sept 29th and 30th our Coffee Collection will be 25% off! Love your sets and clever ways they were used. All the cards are lovely! OH MY! These cards are so amazing! 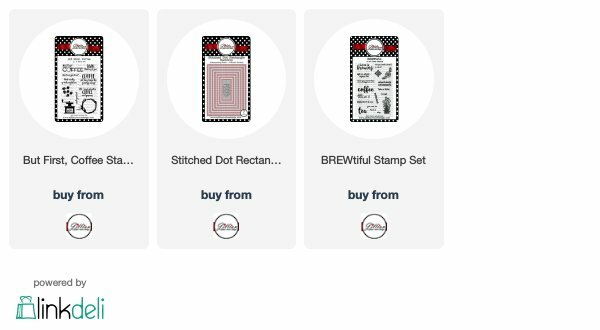 I am obsessing over the stitched plaid coverplate, the knit background builder stamp and OMGeee, coffee, tea & me stamps and die set!! I LOVE the steam" in this set!! Thanks for sharing, hopping and inspiring me today!! Such fun + clever inspiration! The cards and bookmark are all Beautiful! What an AMAZING line-up of inspiration!! Awesome creations! Loving all the coffee themed card creations and the cute bookmark! These are all super cute! Happy Coffee Day!!! Great cards by everyone, thanks for all the inspiration. I'm going to go get another cup of coffee now. and shakers are my fave type of card so love it. Wow so many great cards! Awesome work, very talented ladies. Thanks for being a part of this fun hop! So lovely! So exciting to see everyone's creativity on every stop! Love each card. Happy National Coffee Day. Crafty hugs. -Gracie. Oh wow--wonderful creations by everyone! 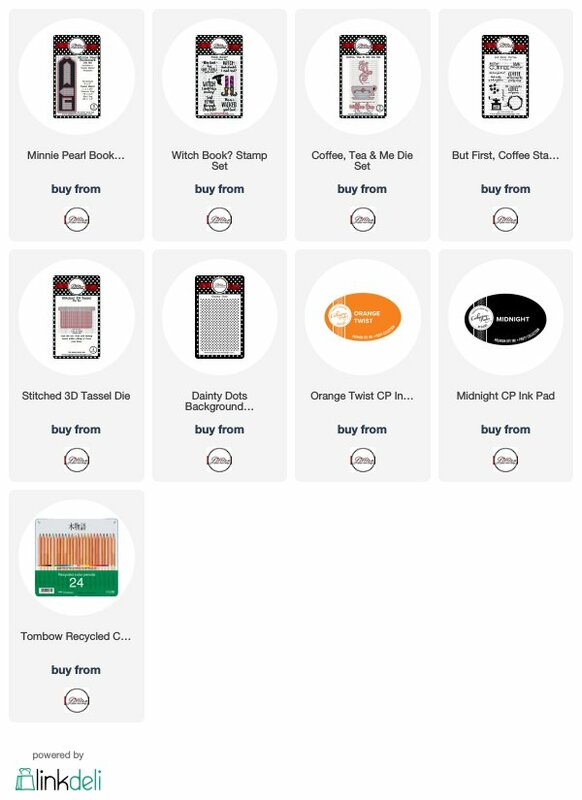 So many AJVD products I'd love to have, so thanks for the chance at your incredibly generous prize! 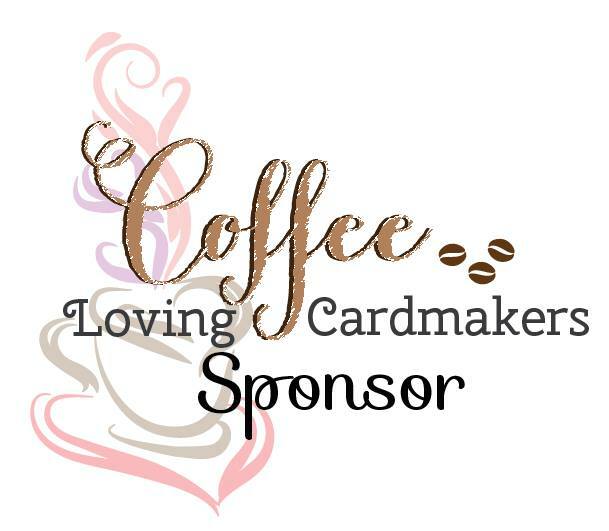 Thank you for being a sponsors of the Coffee Lovers BLog Hop -and for always offering deals and a great prize as well --- All I need is a little bit of Coffee and a WHOLE lot of Jesus - I love this stamp, which I own! Have a blessed week! Like the whimsy witch bookmark. I like to read. Reached my reading goal of 12 books this yr and reading more. Started reading Danielle Steel books for first time this yr. Currently reading Blunt Impact by Lisa Black. What amazing projects. One of my favorite coffee stamps of all time is Coffee and Jesus from AJVD! Love using it. I think the witch bookmark is fabulous! hahaha POT HEAD has got to be my fav! Too funny! Happy National Coffee Day! Simple adorable Bookmark & Fabulous cards! Happy National Coffee Day! I love all the very creative cards. I'm motivated to make a bookmark! 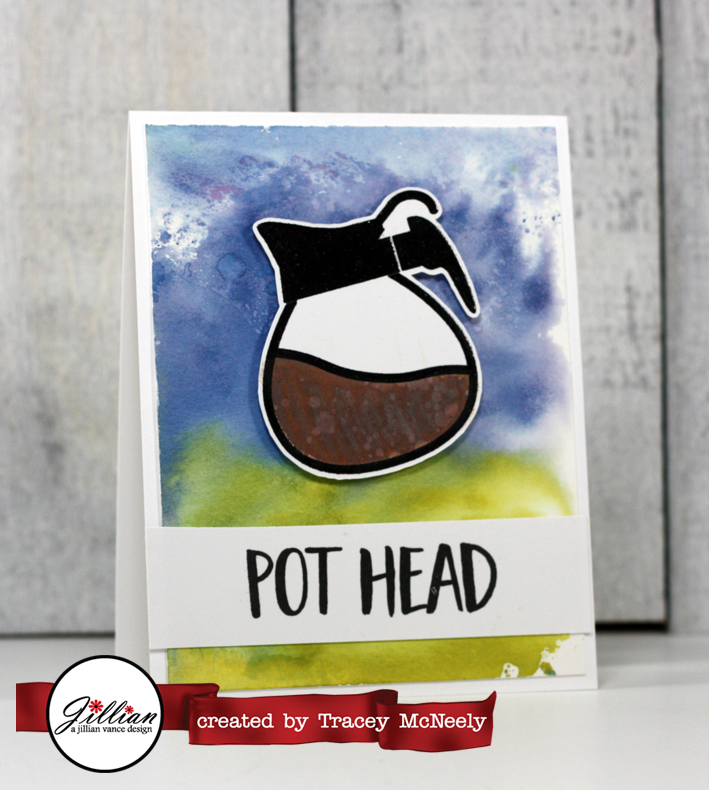 Okay I am still laughing at the pot head card! How fun! I have a friend who will appreciate receiving this one! These are awesome projects! Coffee projects are my favorite to make so I'm totally getting inspired! Many fabulous projects! Great inspiration! I love the fun variety of projects, and that coffee shaker card is so pretty! Loving the Halloween bookmark and gorgeous fall card design as well. The bookmark looks great. You DT did a wonderful job. IblefI comments on your DT members that had coffee posts. Beautiful creations, the bookmark was my favorite! 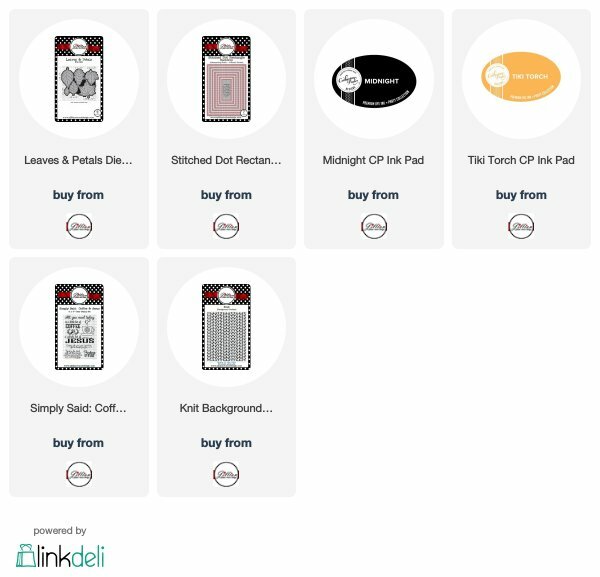 Great Design Team cards...Thank you for being a super sponsor for this BlogHop. WOW! Fantastic Designs from the Design Team! Can't wait to check out your store next! Just lovely products and projects. Just amazing inspiration! Love the one that looks like stain glass. Everyone did a good job. so many incredible cards...love that wonderful bookmark! Lovely cards and a perfect bookmark! All of these cards are amazing! I gotta have that witch in the coffee cup! That is the cutest! Thanks for so much great inspiration and for being a super sponsor too! Thanks for taking part in this fun themed hop and for sharing all these pretty projects. I think the best card out of this part of the hop is a tie between pot head and all you need is coffee and a whole lot of Jesus! Love them both. I have never heard of your company before and I am excited to find you! Thanks for participating!!!! I love them all you did a great job. Thanks for sharing. Fantastic creations from all your DT members! So much creativity going on! I followed you all over too! Great projects. I especially love the one with the sunflower. Happy Coffee Day. Love that adorable bookmark!! 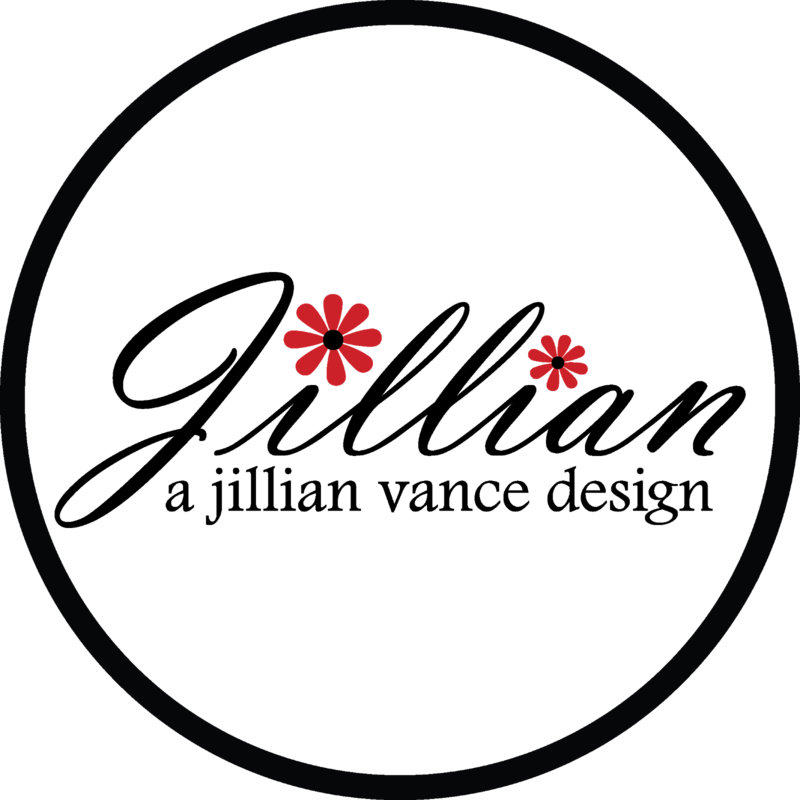 Thanks so much for being a sponsor and thanks so much for the sale! I can't wait to check out the rest of these in detail! What a fabulous creation. I love making bookmarks, and you have so many great sets for creating them. Thanks for the fabulous inspiration and for being part of this fabulous celebration of coffee and crafting. So many pretty creations to look at. Thank you for sponsoring and Happy National Coffee Day. What awesome inspiration from the design team! Thanks for the generous prize package! Still laughing over the cute bookmark!! There is so much creativity here that I'm going to look through all the great cards again. How many wonderful creations. Beautiful bookmark! Beautiful samples!! I especially LOVE the bookmark, made me giggle!! Thanks for being a Super Sponsor!! Everyone did a fantastic job but my favorite of all is the witch legs sticking out of the coffee cup! Thanks for all the inspiration! Great cards...love the bookmark and shaker cup. Fabulous inspiration! Love the INKboss background!!! Wonderful and creative coffee themed projects. I really like that bookmark. Great job by all the members to show off some really great products. 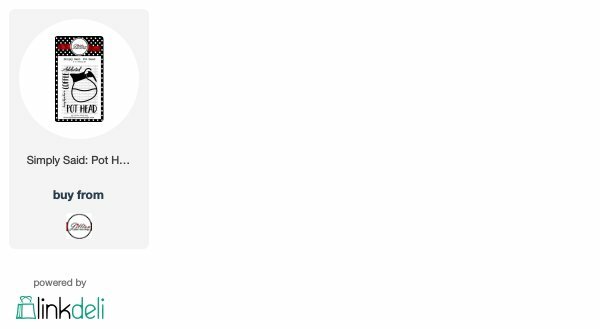 Thanks for sponsoring, Jillian. The DT did a fabulous job on all their projects! I sooo need to go shopping! Ugh can't wait till payday but I will miss this great sale! Isn't that always the luck? lol THank you all for sharing your wonderful talents with us! Love the bookmark and cards! Great coffee-themed projects! Oh such talented designers!! Love all of their gorgeous cards and the witch tag! Great work and am your avid fan! Wow, amazingly adorable and creative projects! Outstanding! So cute! I love the "stained glass window" coffee! These are the cutest cards and I just love Lisa's shaker card! The dark brown coffee image is so cozy! love the witch tag! so clever!!! Super cool and fun projects!! Very nice cards! Love the witch bookmark, the stained glass Cup of Love, and that mug & steam die. Such fun! 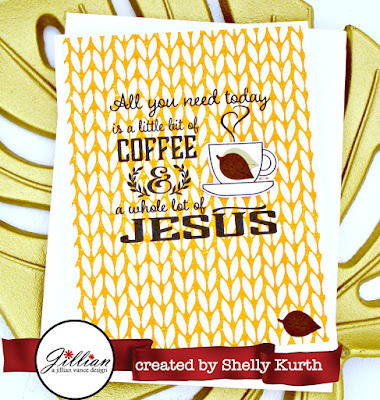 I can't believe there are so many cute ways to use a cup of coffee design! So many fantastic cards. I really love the stained glass look. The witch bookmark is too cute. So many different ideas, love the inspiration. Oh my stars! Talk about a dazzling, inspiring array of coffee-themed cards! The DT obviously had fun designing their various cards/bookmark; each project is infused with joy! I just love all your creations. I wish my creativity was that awesome. Thanks for sharing. Amazing projects!! The designers did an awesome job!! Thanks for be a super sponsor!!! So much talent shared in this post! Loved seeing all the designers collections. Beautiful! What colorful, lovely coffee cards! Fabulous cards, thanks for the chance! So much caffeinated goodness from the team but you got a belly laugh out of me on that last card. Pot head. Love it! Dear Bunny and Jillian, thank you so much for your generosity to our Coffee Loving Cardmakers Community. I really enjoyed seeing all the beautiful creations made by everyone. Thanks for sharing with us.